"Speed Digital Healthcare Transformation With New Design Platform"
Digital Healthcare Transformation, from EHRs to HIEs to patient portals to mobile apps for doctors, has moved from topics of conversation to everyday experiences for many patients today. Large healthcare firms are continually looking for new ways to drive future growth while managing the cost of care, given the exciting opportunities in Digital Healthcare. 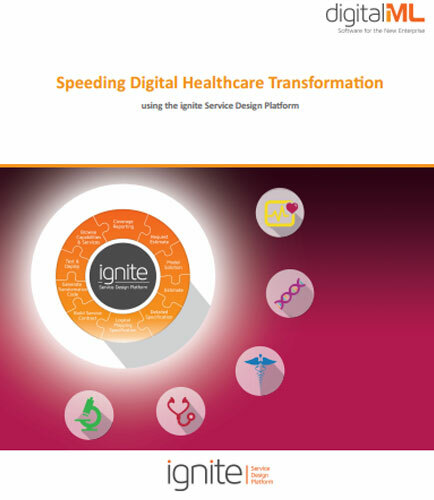 This whitepaper explains how the right integration and service delivery approach in Digital Healthcare is a powerful enabler of business success, and accelerate the delivery of these services in order to connect core systems and promote omni-channel, speeding new products to market. Why Do Healthcare Executives Want Digital?